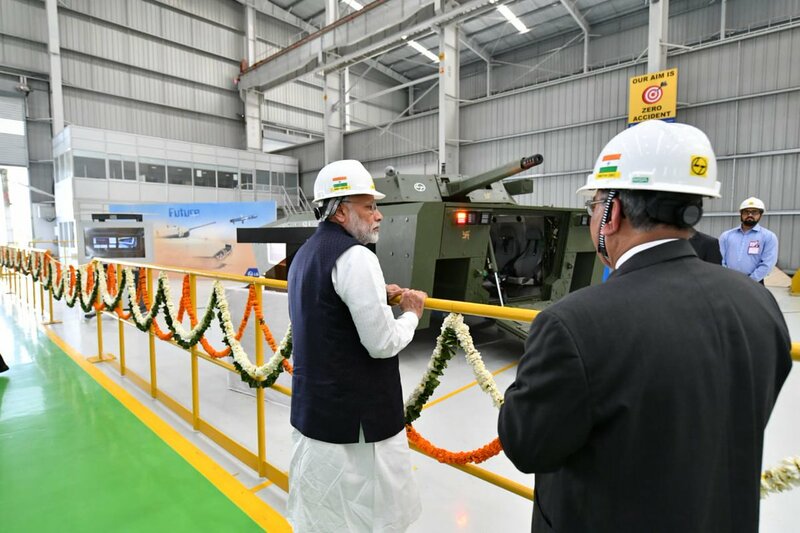 Larsen and Toubro Armoured Systems which was recently inaugurated by Prime Minister of India Narendra Modi in Hazira, Gujarat showcased first glimpses of L&T developed Futuristic Infantry Combat Vehicle (FICV) which it aims to provide as a fully indigenously developed Infantry armored fighting vehicle to replace aging, Soviet-era BMP-2/2K infantry combat vehicle (ICV) fleet from the Indian Army. $8-billion worth project will replace around 1900 BMP series ICV made by Ordnance Factory Board (OFB) since its induction in 1980. 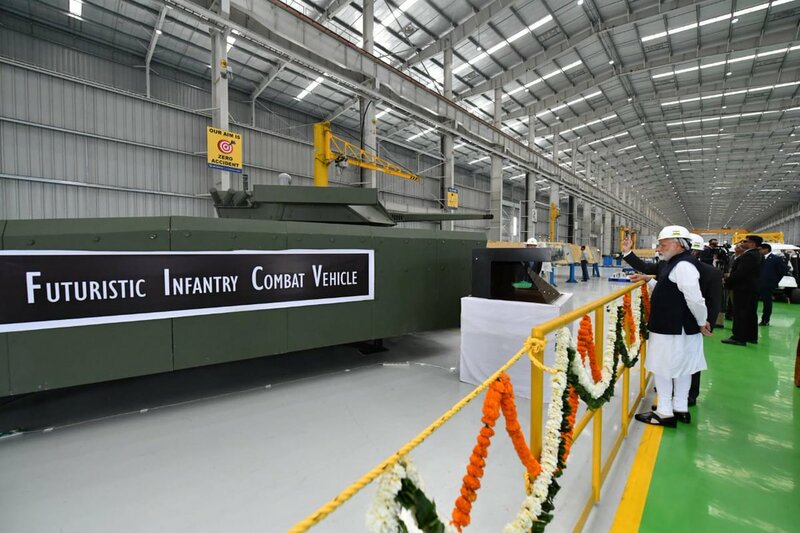 Under Make in India’ project, the Indian Army is expected to place orders for nearly 2600 FICV for which TATA Motors, Larsen & Toubro (L&T), Mahindra Defence, TATA Power SED, Reliance Defence, and the Ordnance Factory Board are in a race to provide their product for the Indian Army for trials. Winner of the FICV program will have to share their technologies with other more companies which include one public sector company and two private sector companies for local production of the winning FICV design which will be executed in phases over next three decades and will see order of over 2100 units of at least 4 different variants of the base FICV design which will see variant like Ambulance,Light machine gun , Light Artillery and Command post.